What will happen if I go for therapy? Therapy can be pretty scary if you don’t know what to expect. 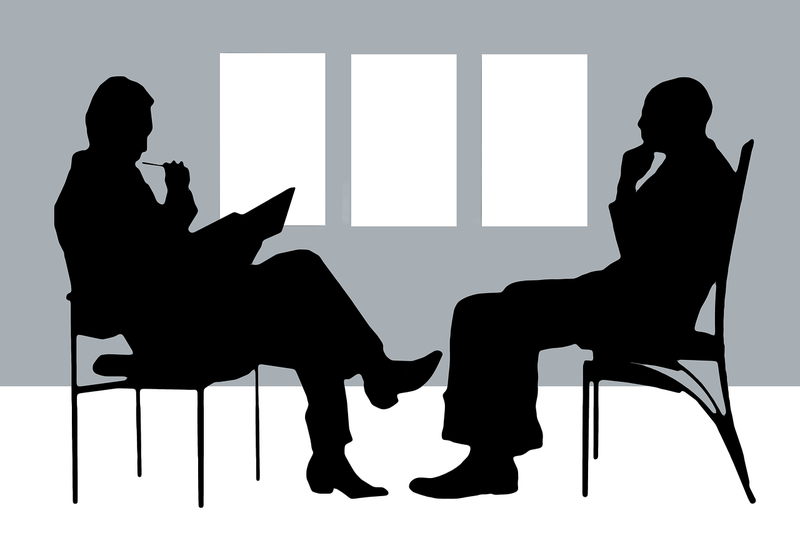 Whether it is your first time seeing a therapist or just your first time seeing this particular one you are probably wondering what to expect. The process of seeking professional help for emotional, mental or behavior problems can make you so anxious some people do not make it to the appointment. Some folks never make the call in the first place. You probably have one set of concerns on your mind. You know why you are thinking about therapy or at least who told you to go for therapy. The therapist often does not know these things about you. The therapist has a whole other set of worries on their mind. In the interest of demystifying the whole process, let me try to explain what is happening here and why. To do this we may need to do some head hopping between your thoughts and what is going on in the therapist’s mind. In larger practices, you may have to come in beforehand and fill out paperwork. That helps relieve some of the therapist’s anxieties but not yours. In smaller practices, this may all get done at the first visit. Sometimes the person in front of the therapist wants help for themselves. Sometimes they are here because a family member needs help or they need help coping with that other person. Just because a couple shows up does not mean they want marriage therapy. One may need help and the other is being supportive or they may need help telling the kids about the divorce. So the therapist asks what brings you to therapy. Who will be receiving the counseling and what you want to accomplish by being in therapy? Once the therapist knows who they are treating they need to go through a bunch of stuff we call “informed consent.” You may or may not care about this stuff but we care. First, the therapist has to tell you about exceptions to confidentiality. Yes, therapists want to keep your secrets and most of the time most of them do. But there are those pesky exceptions to confidentiality, the things the law says the therapist is not allowed to keep to themselves. Look back over the last year and the posts about exceptions to confidentiality and what secrets the therapist can and cannot keep are the perennial top read posts. Shortlist is 1. Danger to self or suicidal, 2 Danger to others, homicidal 3 Gravely disabled, unable to feed and clothe yourself. 4. If you enter your mental status into the court record then the judge can order the therapist to testify about what you said. 5. If you sue the therapist and say they did a bad job, they get to show the judge and jury your record and what you said at the time. The other thing the therapist is thinking about is how much will you be paying and who is paying the bill. By law, in most places, they must tell you if they take insurance or not and either way how much each session will cost you. The next thing the therapist is likely to do is an “assessment” of some sort, they need to know what the problem is that they will be treating you for. This identified problem can change over time but your treatment should aim at changing something. The client may come in saying they are having conflicts with their partner. Later in this first session, they might say they have an “anger management” problem. We want to know how bad that problem is and what might be causing it. In the course of the assessment, if they say that they and their partner fight a lot, the therapist wants to know if this is domestic violence. We also would be asking how much alcohol they drink and what drugs they use. This is not about being judgmental. It is about seeing what the problems are and how it needs to be treated. Therapists, especially those paid or reimbursed by insurance will also probably need to create a treatment plan for what they will do and how you and they will know if you are getting better. Different schools of therapy may proceed differently through these items. Some therapists like to let you do most of the talking, to talk it out. They feel that you already know the answer but you have no one you trust to listen. Other professionals will be looking for things you need and making referrals. They may even give you homework assignments. If you came in saying that the problem is you are depressed because of your poor relationship with your partner we probably will work on that for a while. Later on, you may find that this relationship is a copy of the one you had with your parents or your parents had with their partners. At that point, we might shift to working on things from childhood. All the while, as the focus of the session shifts, the therapist is thinking and working on how do we connect this back to the depression. How can a better awareness of where your depression comes from help you reduce the things that are maintaining that depression? Some problems have quick solutions. Others take a lot longer. Some people may need to stay in therapy for a long time to avoid getting worse and ending up in the psychiatric hospital. Whatever your needs, the therapist should be working towards a thing called termination, the time when you will not need to come to see them anymore. Those are the things that are likely to happen in the first session. From there the process moves to finding ways to help you get the result you want. This entry was posted in Counseling and Therapy and tagged Counseling, Depression, Mental Health, Mental illness, Psychotherapy, Substance abuse by David Joel Miller. Bookmark the permalink.